Also known as guanabana or graviola, the soursop tree (Annona muricata) produces shiny evergreen foliage and large tart fruit that can weigh 8 pounds or more. It is suitable for growing only in warm climates of U.S. Department of Agriculture plant hardiness zones 10 and 11. Soursop is killed by light frost, and even a few days of near-freezing weather or cold wind can damage the tree and cause leaves to drop. Although the tree can reach mature heights of 30 feet, growth is usually limited to 15 to 20 feet. 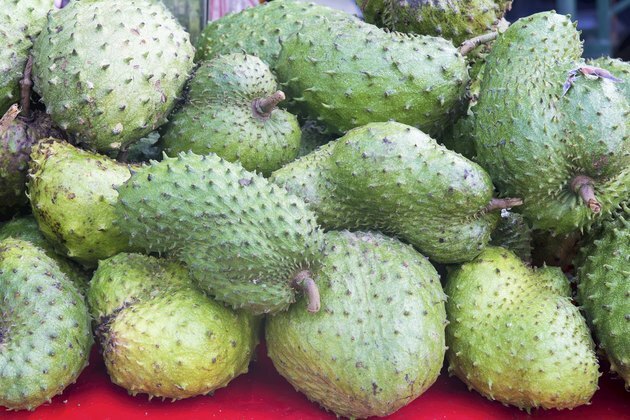 Soursop is sometimes referred to prickly custard apple for its spiny outer covering. Although soursop grows in nearly any type of well-drained soil, the tree prefers sandy soil with a pH of 5.0 to 6.5. Temperatures of 75 to 80 degrees Fahrenheit are optimum for growing this tropical tree. Soursop grows in full sun or partial shade, but should be located where it is protected from harsh wind. Soursop is sometimes propagated by grafting or air layering, and it can also be grown from seed, which should germinate within 15 to 30 days. You can purchase seedlings at nurseries that specialize in tropical plants. Allow at least 12 to 15 feet between seedlings. Unless you live in a rainy, tropical climate, soursop needs regular irrigation and may drop leaves if the soil becomes completely dry. The tree benefits from consistently moist soil during the first year and may need water two or three times per day to prevent water stress during hot, dry weather. After the first year, water the tree to a depth of 3 inches twice weekly during the summer, decreasing to once or twice every month during the remainder of the year. 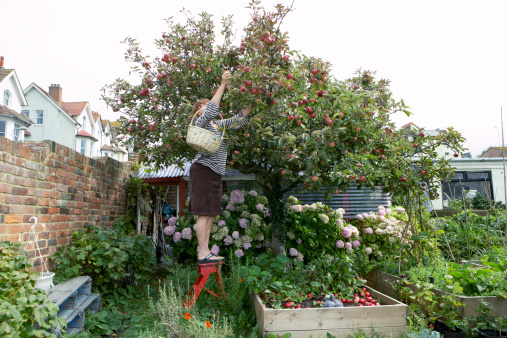 Water the tree with a drip system or let a hose trickle slowly to allow water to saturate the root system. Feed your soursop tree every three months, using a balanced granular fertilizer with a nitrogen-phosphorus-potassium or NPK ratio such as 10-10-10. Apply the fertilizer at a rate of 2 ounces per feeding the first year and 4 ounces per feeding the second year. Thereafter, apply fertilizer at a rate of 12 ounces per feeding. Scatter the fertilizer evenly on the ground under the tree's canopy; then water deeply. Soursop is resistant to most pests, although the tree is sometimes bothered by mealybugs and scale. Insecticides are not recommended as the pests are usually kept in check by predatory insects. 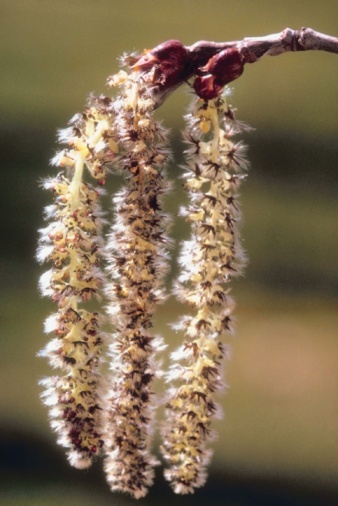 The tree is susceptible to various diseases during warm, humid weather, including anthracnose, which may cause fruit and flowers to rot and shrivel, and brown stem rot, which decays the branches and may cause death in severe cases. Usually, frequent cleanup and proper disposal of affected plant parts help prevent the spread of diseases. Plant soursop with care if you have children or pets. Although soursop fruit is delicious, the bark and seeds are toxic and may cause symptoms similar to those of Parkinson's disease. What Do Curled Leaves on a Fig Tree Mean?